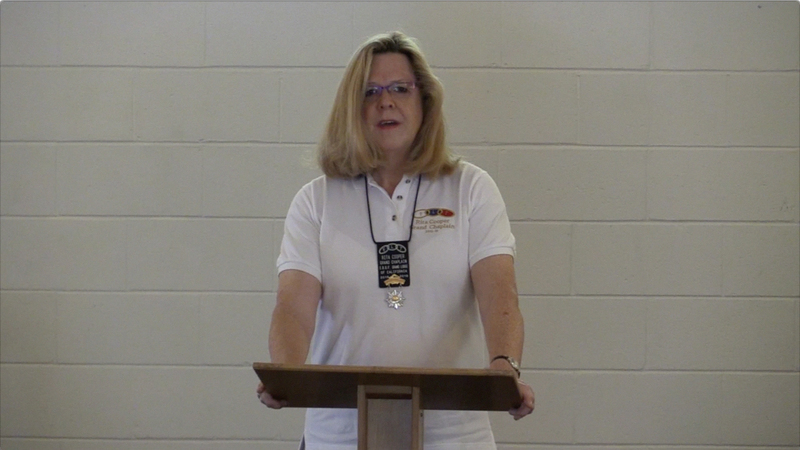 Comments at the Three Links Camp Festival on Sunday, June 28, 2015 by the Grand Chaplain of the Grand Lodge of California Rita Cooper of Morse Lodge #257. Odd Fellowship is not a religious organization. It is more inclusive than any single religious organization. We share our Fellowship with all faiths, all races, all stations in life. Male and female, young and not so young, rich and not so rich, all are welcome to Odd Fellowship. But the work we do is rooted in universal religious doctrines. As you study the scriptures and tenets of the many religions in which the people of this world find hope and the meaning of life, you can find a common theme, a divine message if you will: the simple command "Love your neighbor." It is familiar to many of us as a version of the Golden Rule "Do unto others as you would have them do unto you." The 17th century Dutch philosopher, Benedict Spinoza, declared that within the doctrine of every true religion is the very basic moral imperative that we "love others and live by justice and truth". Doesn't this sound like the very essence of the Odd-fellowship philosophy? to recognize that all mankind, and woman kind, regardless of ethnicity, nationality, race or status are, when all is said and done, brothers and sisters. and helping our local communities come together, effectively, for a good cause. And being Odd Fellows, we get a great deal of pleasure from working and playing together to achieve these goals. Odd Fellows like to have fun, too! Having a good time while raising money for a good cause is an Odd Fellow hallmark, with fund-raising fun such as themed parties, or a day at the races or the baseball park, or trips to remarkable places, oh the list goes on. Fellowship in an environment of love and truth, trust and commitment, is a bonding force that has held us together for these two centuries while our country has been through tumultuous social, economic and political changes: territorial expansion, civil war, liberation of an enslaved people, world wars, cold war, depression, population explosion, mass communication-and-entertainment, continued immigration, the atomic age, the space age, the digital revolution - it goes on and on. The only thing that has stayed the same is that change is constant. Yet one of the things that has endured through all of this is the Odd Fellow idea and its Mission. Since the founding of American Odd Fellows almost 200 years ago there have been many changes in America, innovations in government programs, the development of social safety nets to deal with the needs I mentioned earlier, some of which are needs that the Odd Fellows were founded to meet. But there is never enough! The need will always out-strip the supply. What the Odd Fellows bring to the world will always be in demand. People will always need comfort, support and friends will always seek justice in their lives. The world is changing, it's always changing. The Odd Fellows have changed too, but our core principles, our Mission, remain the same. And when you look at the world today with its swelling tide of violent intolerance, religious and racial hatred, fear and suspicion between races, creeds and nations, it becomes clear that our mandate to promote justice, goodwill and harmony through the principle of universal fraternity is needed more than ever, is needed now and will always be needed. There is a hunger among peoples of the world, among our neighbors, among young people just coming to adulthood, for truth, justice and harmony, the core principles of Odd Fellowship. Let us reach out to them, share with them our hopes for our local communities, hopes for this world and the world that is newly arriving every day. Embrace them fraternally, ask them to join the fun, feel the warmth, and enlist them in our project, doing God's work with our brothers and sisters in our respective Lodges, doing it today and forever.